The piano is not difficult to learn with a patient and experienced teacher! Research has shown that piano lessons help keep the mind sharp, fosters higher learning skills and offers creative and emotional self expression which is lifelong. Plus, it’s fun! 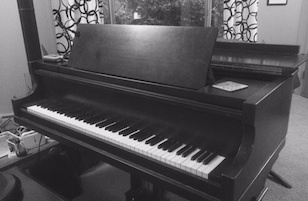 Piano lessons include learning proper technique, music notation, intervals and chord theory. Voice lessons can be added as well . Don’t worry if you can’t read music. Musical notation is basically a 3-D grid, which is almost like another language. And the good news is that it is NEVER too late to learn. Lessons are held in Ellensburg, conveniently close to downtown and CWU, right off of North Water Street by the Iron John Trail. The studio offers plenty of off street parking, a large room with a 6 ft grand piano, plenty of seating for parents and others. Yearly opportunities for performance and adjudications are available through the Yakima-Ellensburg WSMTA and studio only recitals. Although performances and adjudications are optional they are strongly encouraged. Certified Kindermusik and Musikgarten teacher, Valerie White Williams, understands how to teach children real life long skills, encourage their natural love of music & self expression while still making the experience fun. 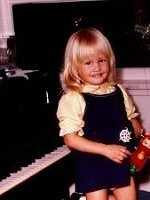 As a former homeschooling mom to four, two decades of experience teaching music plus professional performing experience as a singer and instrumentalist gives her a well rounded approach to teaching music. See About Valerie for more information on Valerie’s musical background.